Hello there and welcome back! Today I have another Polish Pickup Polish to show you! 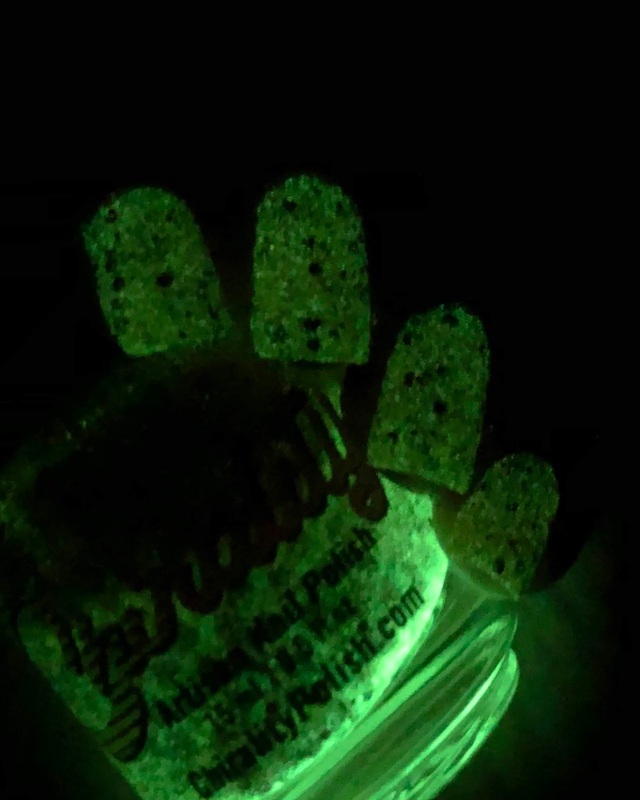 This is a fun Glow in the Dark polish from Chirality, so lets go check it out! 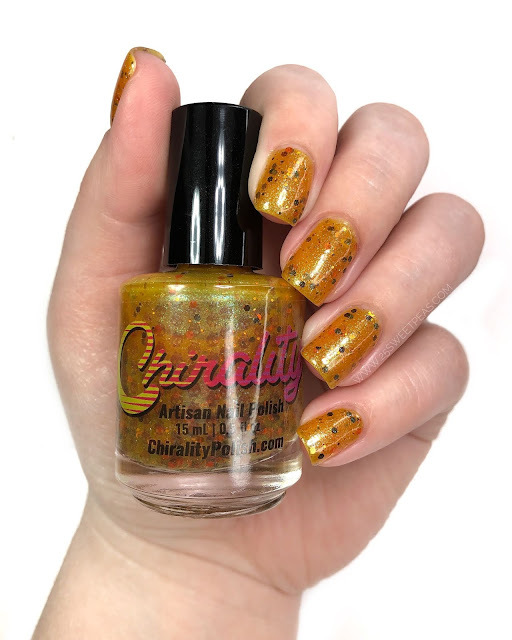 A tangerine jelly that is filled to the brim with various orange, caramel, and brown glitters, with a green/aqua shimmer. 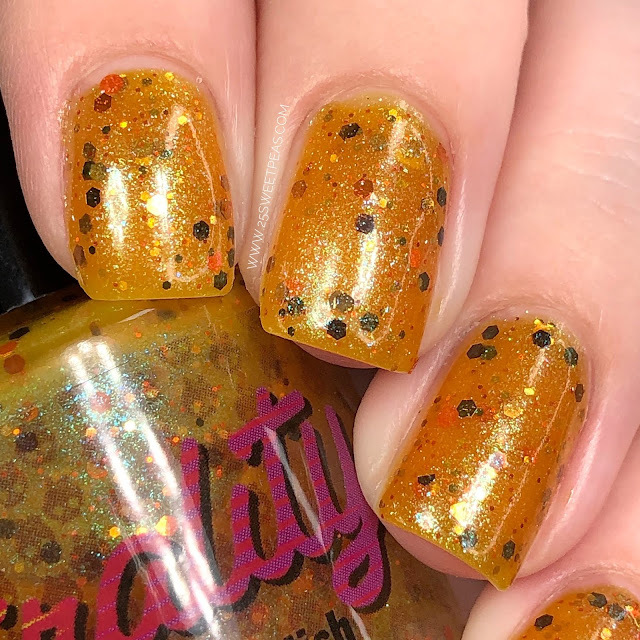 Formula wise the polish goes on sheer but its an easy to use polish and covers in 3 coats completely. And Its a really nice warm shade of orange. The kind you see in a sunset. 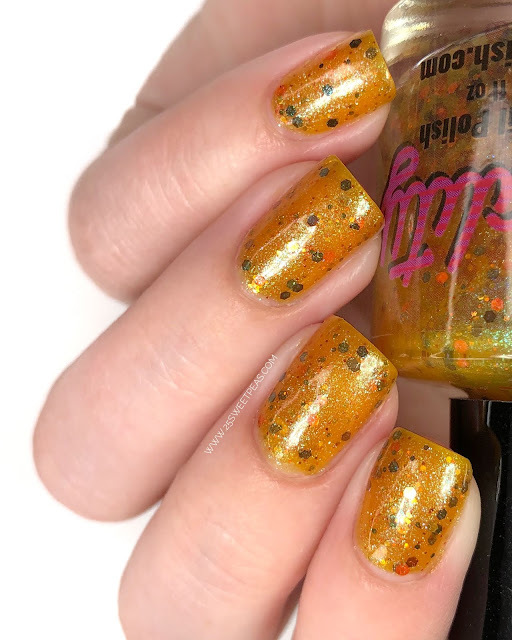 I'm really not an orange fan but I'm really enjoying this on my nails! It's fun! 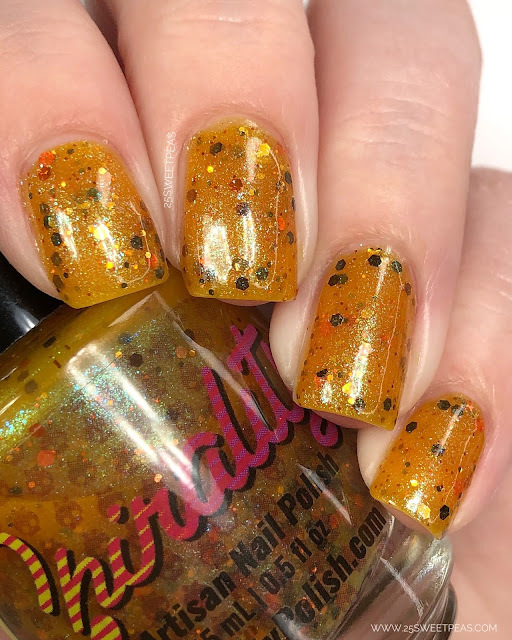 This polish was inspired by Metamorphosis of Narcissus by Salvador Dali. 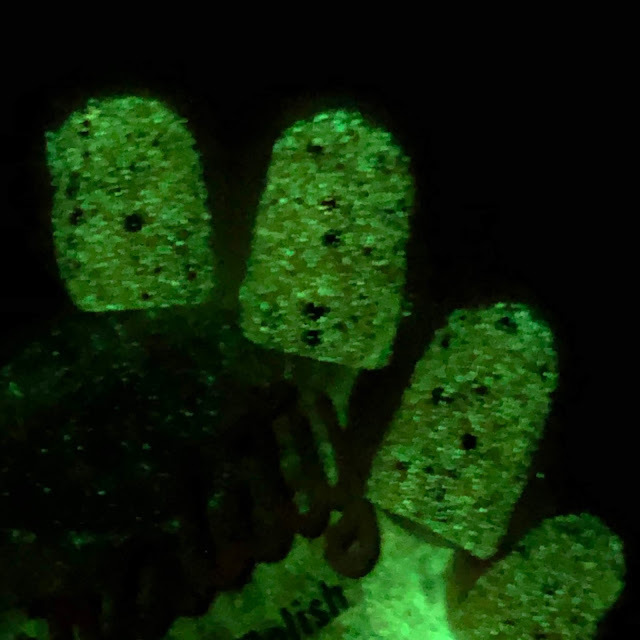 It will be available during Aprils Polish Pickup which is April 5th - 8th! Below is the shop link to the Polish Pickup! As well as where you can see more from Chirality!